It’s always especially satisfying to revisit a challenge that’s gotten the better of you. Succeeding where before we’ve failed can be a great reflection of how far along the road we’ve progressed and what we’ve learned along the way. It’s less than a year ago since I tackled my first big mountain, Lake Mountain, an Hors category (HC) climb, starting from Marysville. 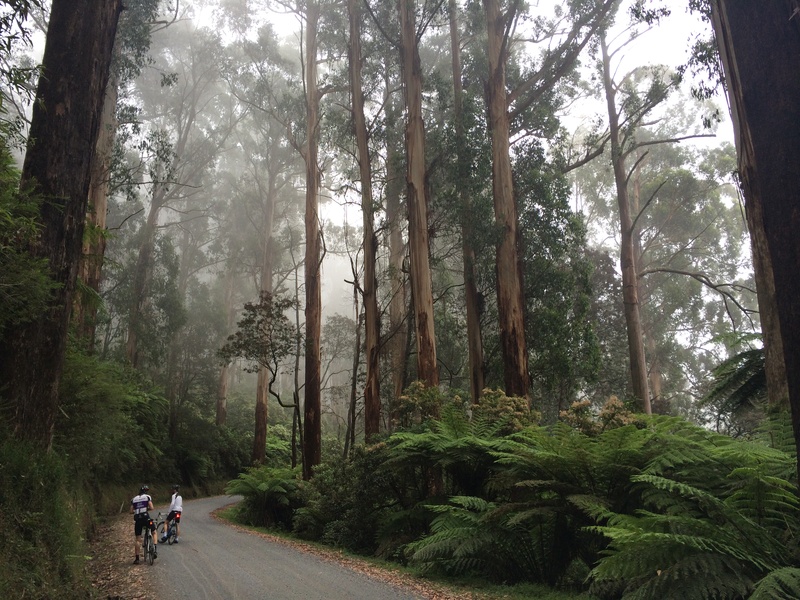 At the very end, as we returned to Warburton with a good 150km and 3000m in the legs, Ben and I started up Donna Buang. I wasn’t prepared for a second climb at all and I’d had a good go at emptying the tank with a fast finish. I got 5km up the climb before I decided to stop. Little did I know that I had nearly completed the hardest part of the climb. I was hurting in all kinds of places and I hadn’t fuelled myself for another big one so I called it a day. 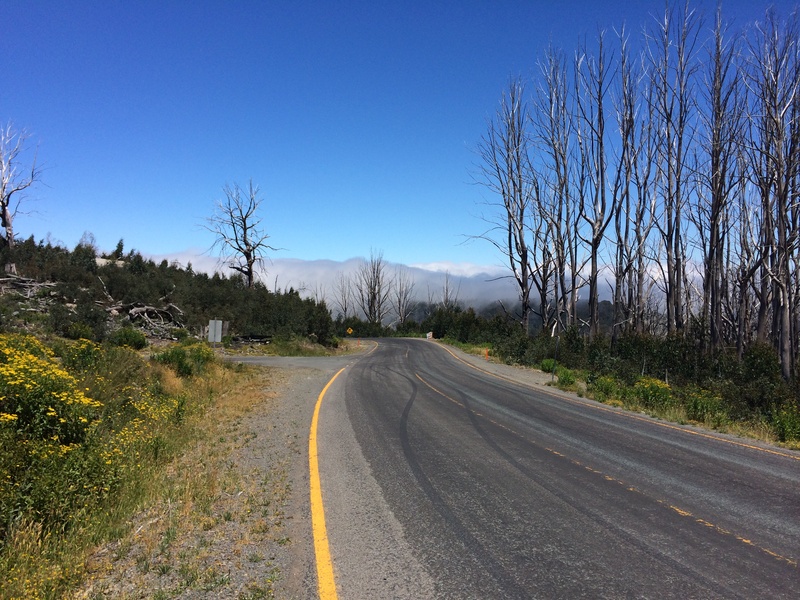 Not long after I read a ride report by Matt de Neef, ‘The Climbing Cyclist’ on a ride that included these two climbs – The Demon’s Double. Ever since then I’ve wanted to do this. Last week I did. 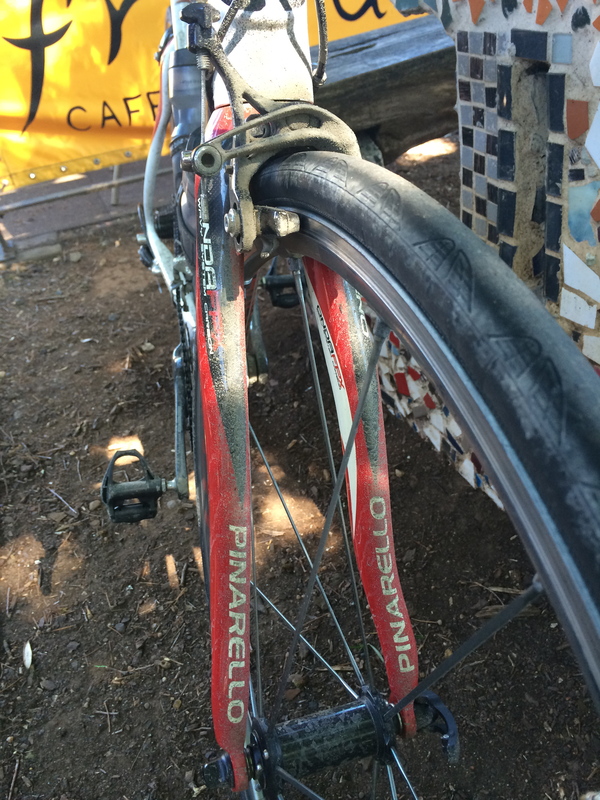 A big part of a ride like this is mental. It’s having the confidence and belief in yourself, confidence earned by progressively building up to higher and higher levels of difficulty. Having done a big double HC peak ride after Christmas (Hotham and Buffalo) I had no doubt that I could do it, it was just a question of how fast and how much it was going to hurt! Since my first ride out here, I’ve ridden over a dozen HC climbs and have improved in areas like the amounts I eat and drink on rides, critical on long and difficult rides like this. 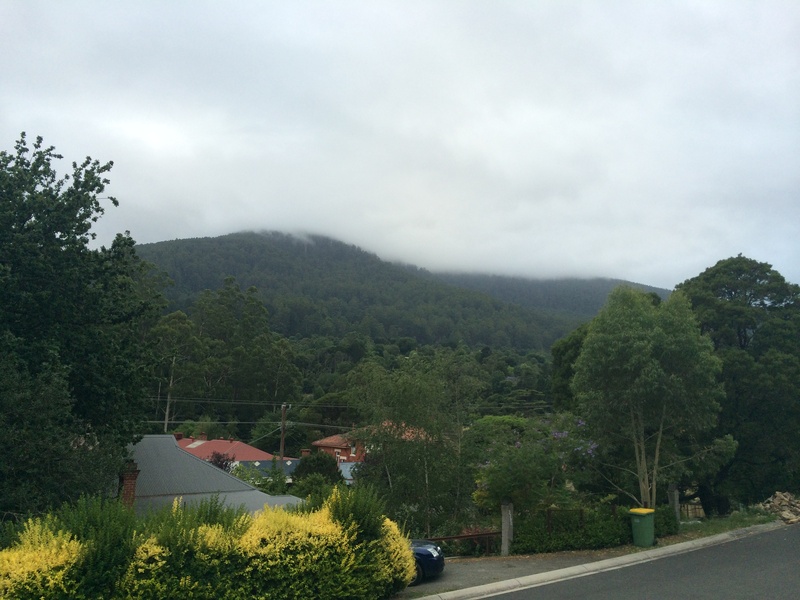 Approaching Donna Buang, seeing the top half shrouded in hick cloud. 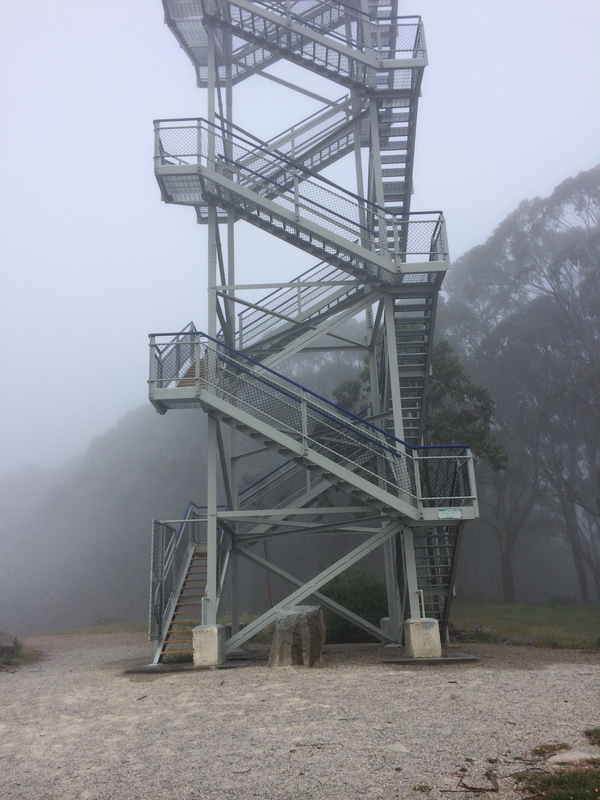 Our plan was to do the Donna Buang climb first and then go on to Lake Mt via the Acheron Way instead of going up the Reefton Spur which I’d done before. Nathaniel and I set off from Warburton at 7am, starting with the Donna Buang climb immediately, opting to warm up on the climb itself. The plan worked and we got into a good rhythm. As we rode up we found ourselves riding into cloud. It wasn’t too bad riding up, but it was absolutely freezing on the descent. It was hard to believe that we’d just had one of the worst heat waves on record with 5 days of 40+ degrees celsius. On the summit of Donna we met another rider, Paris, who was doing the same ride as us so we decided to ride together. The top of Donna Buang. Nothing to see here! This was my first ride on the Acheron. It was unsealed for several km but this was fine even with my Conti GP4000 road tyres. I really enjoyed it actually. You’ve got to concentrate on the road more than usual looking out for potholes and larger stones, and just manoeuvring the bike required more attention, especially going downhill. The thing I noticed most about this was how focussed my mind was. On most roads I find I can be thinking about all kinds of stuff, but not here. While I was glad to hit a nice smooth surface I really appreciated the mental space the gravel seemed to open up. I’ve never tried mountain bikes but it made me wonder. It certainly reminded me of some of my best memories running down mountains in the Himalayas or belting down a nice black diamond run. These are some of the moments when I feel most alive, most in harmony with myself and nature. One. After the gravel though the remainder was a beautiful narrow road winding through forest. We might have passed one car, but basically we had it to ourselves. Riding heaven. The Acheron finishes at the Marysville Rd. which presents you with a good steep climb before rolling down into the town, 2.7km at 8%. So by the time we reached Marysville we’d earned our first refuelling break. The climb up Lake Mountain hits you hard as soon as you leave the town, averaging 8-10% for almost 5km. I struggled more than I had on previous attempts and this really set the tone for the rest of the 20km climb. In the past I’ve been able to recover sufficiently in the middle section but not today. To be fair, doing two big 1000m+ climbs on any ride is tough, and doing them in close succession made things tougher still. On the descent off Lake Mountain we wer greeted by this cloud rolling in. Now, looking at the profile, the ride back to Warburton along the Reefton Spur looks all downhill. It’s not, in fact there is a decent amount of climbing still to be done, just as there is on descents like Hotham. This one really makes you work. After a while though I managed to find my second wind and we completely emptied the tank over the last 20km. I love finishing like this, it’s where I get to enjoy putting down some pure power. Unlike the climbs, it’s these sections where I feel more in my element physiologically. Back at Warburton enjoying a little reward. 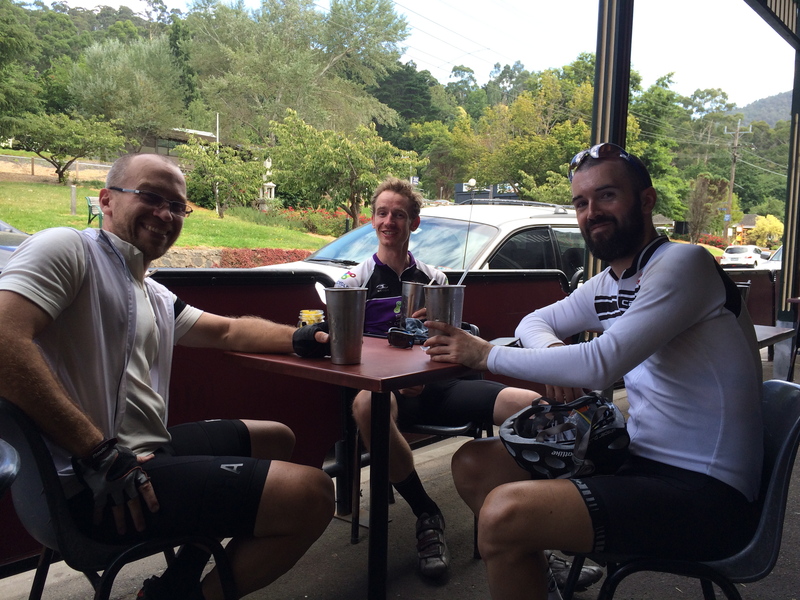 Rolling into Warburton we all felt great. We’d done the double, made new friends, and ridden through some of the most stunning places. I even got home early enough to play with my little boy for a couple of hours before bed. That’s what I call a good day. You can see my ride on Strava here.